I made some more of the I Wanna Be A Milky Ways for a friend and had some leftover melted chocolate that couldn't go to waste. I could have just stood there and ate it, but really, no, not a good idea. So, I pulled out my molds and made some chocolates. In some of them I filled them with nougat from the I Wanna Be A Milky Ways recipe where I messed up there caramel and couldn't use it and so I had extra nougat (oops, again, no standing and eating allowed). Some of them I filled with peanut butter and a little nougat (good, more please). 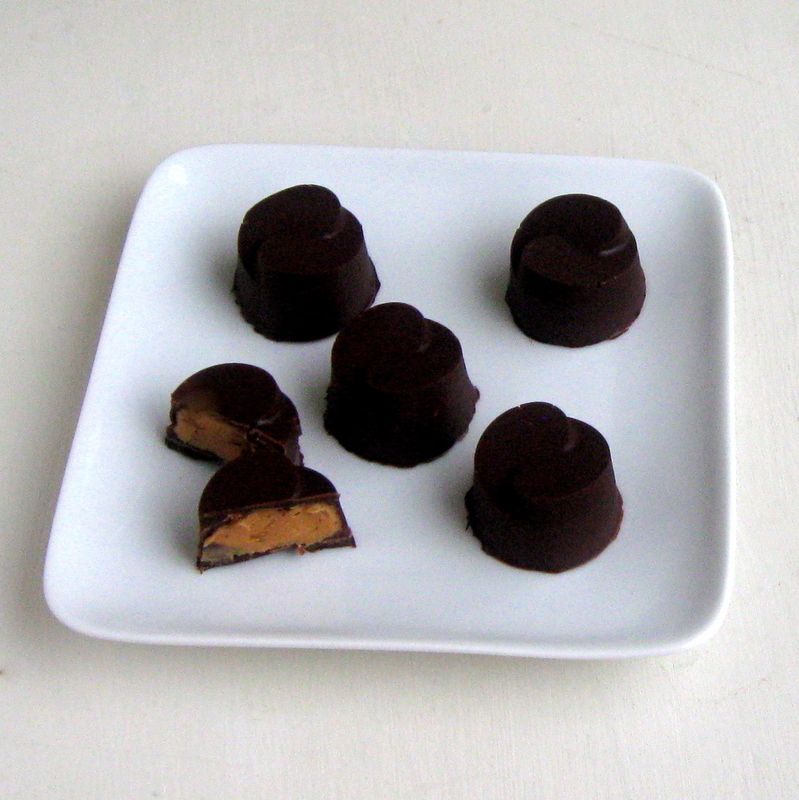 And these, I filled with straight peanut butter. Next time I may mix in a little powdered sugar to the peanut butter, but these were good enough for me and I deem them good enough to share. My husband claimed the last three so that nobody else could take them. They're that good. So this isn't so much of a recipe as much of an idea that's easy to do. All that is required are candy molds that you can pick up at any craft store, some chocolate (I used Ghirardelli Bittersweet), and some peanut butter (or a filling of your choice). 1. 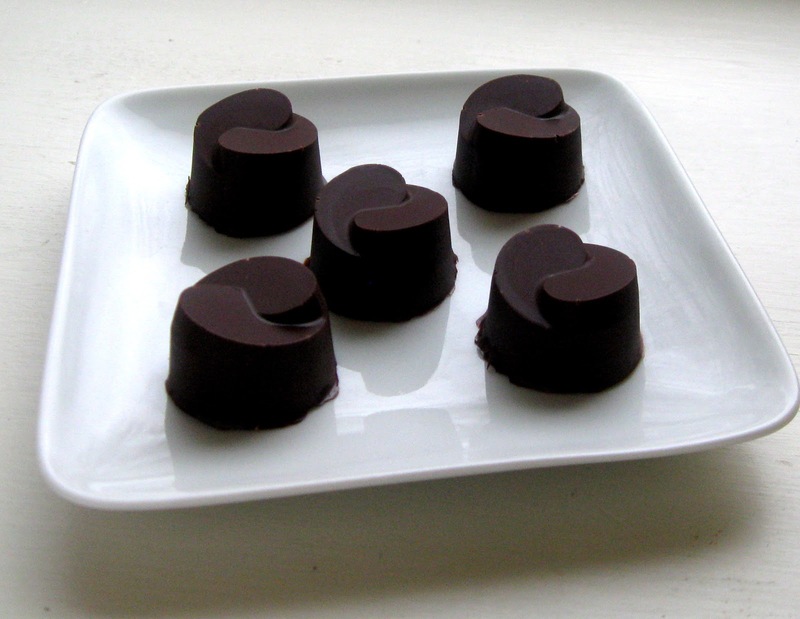 Melt down the chocolate in a double boiler or the microwave until it's smooth, stirring frequently. 2. Pour some of the chocolate into the cavities of the mold. 3. Flip the molds over, over the bowl of melted chocolate or a separate, clean sheet pan, and let the chocolate pour onto the pan or back into the bowl. Using a bowl scraper or something with a straight edge scrape the top of the candy mold so that it doesn't have chocolate all over it. Pop the mold filled with chocolate shells in the refrigerator about 10-15 minutes until hardened. 4. Fill the hardened chocolate shells with peanut butter or another filling, then top with more chocolate, completely encasing the filling. Scrape the top again to smooth out the bottoms of the pieces of candy and neaten the mold. Chill another 10-15 minutes in the refrigerator (the longer they stay in, the easier it will be to get them out). 5. Pop them out of the molds onto a smooth surface. 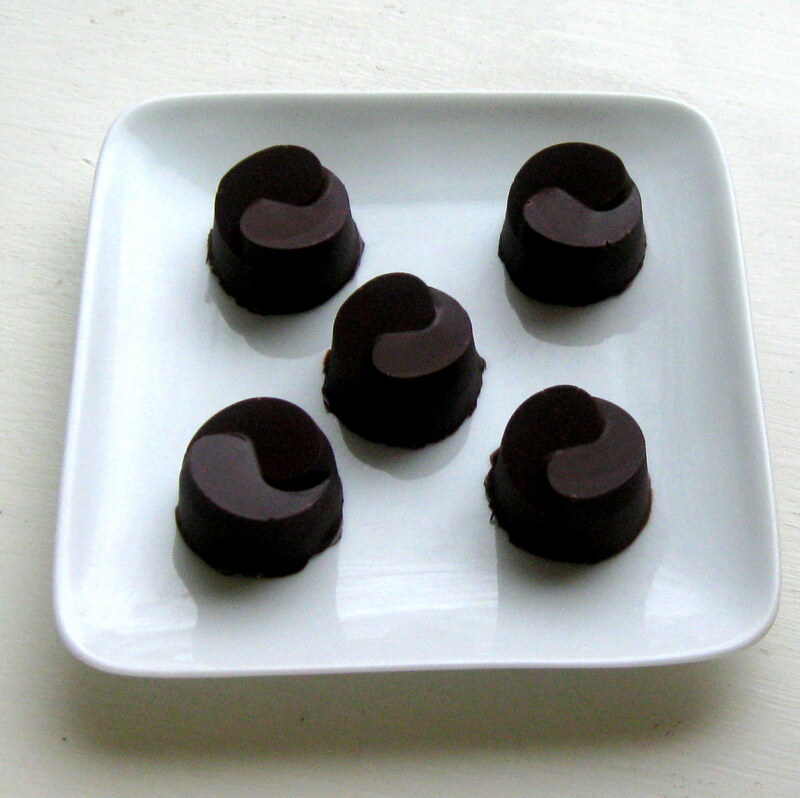 Store at room temperature if the filling does not require refrigeration.